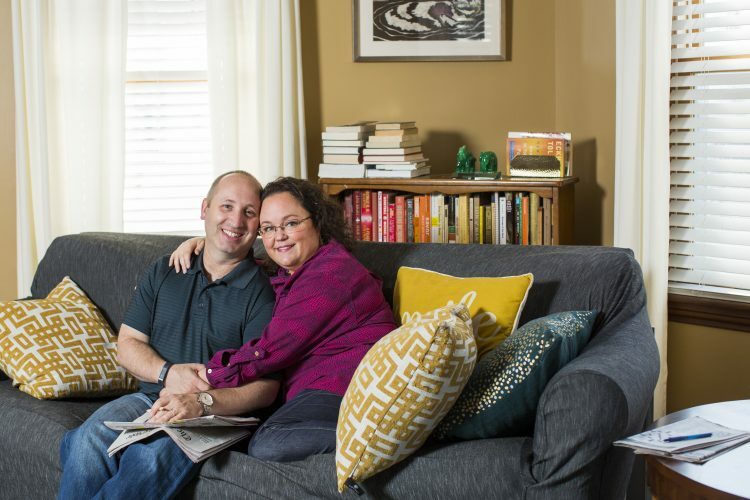 We are Amy and Matt and we have been married for 14 years. During this time together, we have built a strong relationship based on love, humor, and a deep commitment to one another. After being together for years and struggling with infertility issues, we are committed to growing our family through adoption and can’t wait to have a little one to share our lives with. 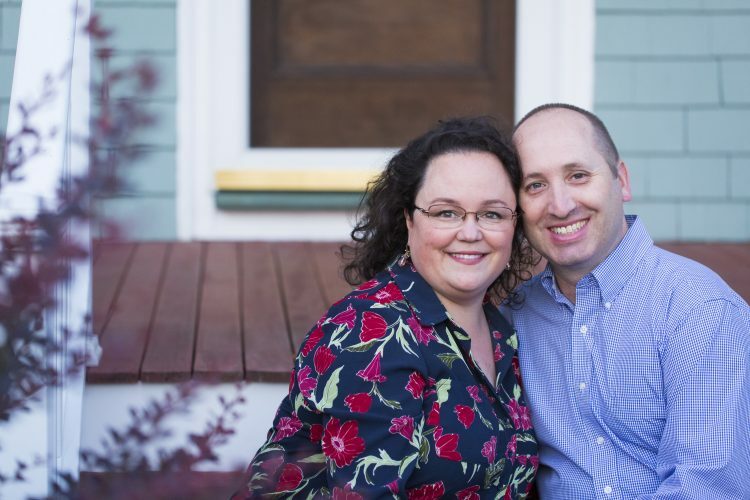 Upon adopting, Amy will be a full-time stay-at-home parent and Matt will take time off so he can be there for all the big moments in our child’s life; we are very grateful that our lives allow us to offer your child a home life full of love, care, and undivided attention. Our hearts are also just wide open and waiting to welcome you, your family, and your expected child into them. Adoption has already enriched our lives in that Amy’s older brother, Michael, and one of Matt’s cousins, Eileen, were both adopted domestically as infants. In addition, Matt’s twin cousins, Katherine and Jackie, were adopted from China as toddlers. Each of these family members has enriched our family in innumerable ways and shown us that love and family do not require shared DNA. We also keenly understand the range of experiences of adopted children and will welcome the opportunity to raise our child-to-be to feel loved and embraced by both you, their birth family, and us, their adoptive family. We hope this letter will give you a sense of the types of people we are and how excited we are to start a family, along with how strongly we embrace having an open adoption and believe in keeping as open of a relationship with you as you wish. We imagine the decisions you are considering take remarkable strength and courage. Please know that we are truly honored and grateful that you are taking this time to get to know us and to consider us as a possible adoptive family for your son or daughter. With that in mind, here is our story! We first met sixteen years ago at a fall party hosted by one of our mutual friends. It was actually a chance meeting, as Amy was contemplating leaving the party right before we bumped into each other. Wanting to leave, but deciding to eat a bit of food before going home, Amy grabbed some snacks and then eyed the scene to find what seemed like the only available seat left, a little space on a loveseat that Matt was hogging. When Matt leaned toward the snack table in front of him, Amy made a quick and stealthy dash to claim some space so that when Matt went to sit back down he nearly landed on top of her. After a quick exchange of names and a high-five (initiated by Matt), we just clicked and though we didn’t yet know it, our love story had begun. From the start, we were both drawn to the warmth, openness, and humor we saw in each other. In the first few months of being together, we experienced a sense of coming home, or finding home in each other – a sense that we had known each other all along. We could talk about anything and had total confidence that the other was listening, interested, and genuinely cared. Matt remembers being drawn straight away to Amy’s laugh, wit, intelligence, and talent. Amy remembers immediately becoming fond of Matt because of his warm smile, love of stories, compassion for people, and sincere nature. Fast forward more than a decade later, and our love for each other and our lives together has only grown stronger. Now, all we need to make our lives even more fulfilled is a child to call our own (hopefully your child). Though we have been unable to conceive a child, one thing that has always bonded us together is our love of children. This includes the love we have for our nieces and nephews, but also expresses itself in the career choices we have made. Matt has worked with kids and families throughout his entire career. 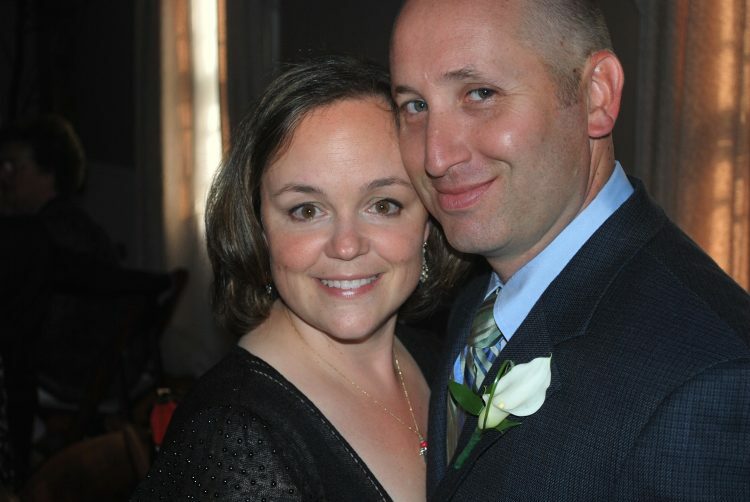 For fifteen years, Matt has worked as a high school guidance counselor and school administrator, most recently as the Director of Guidance in a city north of Boston. Matt has also coached girls and boys basketball teams and has been a volunteer mentor for kids in Cambridge and Lawrence. He believes that every child should have access to a great education and that education is a springboard to opportunity and building a good life. For this reason, he hopes to enroll our child-to-be in the best schools possible! Amy has also worked with kids for much of her adult life, at the Boston Symphony education department, as a music director at a local community theater, as a middle school science teacher, and now as a professional photographer of children and families. In addition, Amy teaches voice and piano to kids and freelances as a college essay editor for students across the country. Amy believes that all kids have innate gifts and potential, so all children deserve the opportunity to discover and explore these talents in a safe and encouraging environment. She hopes to always create these types of safe and uplifting spaces for children, including for our child one day! We like to think of ourselves as well-rounded and balanced, as we are just as comfortable camping as we are going to an opera. We love being together and are excited to one day share our general love of life with our child. We enjoy taking long drives, cooking delicious meals, traveling, playing team trivia, and simply being outdoors together. We can’t wait to include our child in activities like camping, skiing, playing games, doing crossword puzzles, watching movies, and going to the theater. We also cherish spending time with friends and family, singing/playing music, and playing sports or attending sports events. We hope to create many amazing memories for our son or daughter doing things like these and more as they grow older. Along with everything mentioned above, we also adore being near or on the water and make sure to get in lots of water fun throughout the spring and summer. We can’t wait to share this love of the sea with our future child, doing anything from running through a sprinkler, to swimming in the ocean, and kayaking down rivers. Acadia National Park in Maine has also been a special place for us to visit throughout our lives and we can’t wait to share this piece of the outdoors with our child. We each visited Acadia with our families as kids, so we both have so many great memories from going on trips there. We have visited and camped at the national park many times together and we are always enchanted by the beauty of this area and all it has to offer. 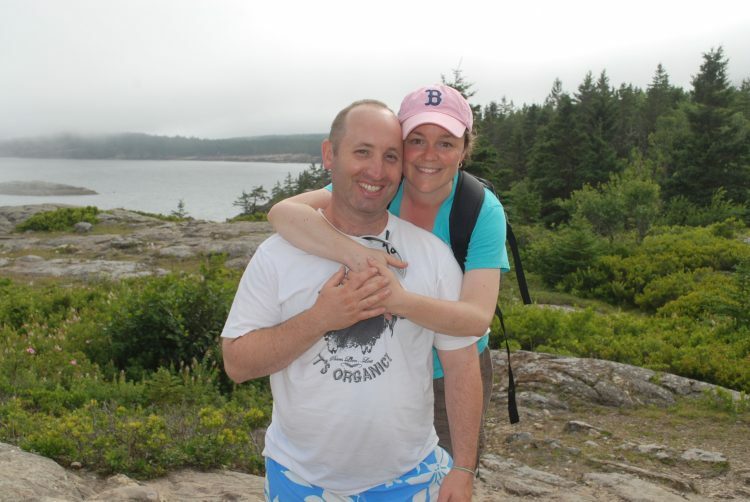 We can’t wait to take our child hiking up Cadillac Mountain, kayaking on Eagle Lake, bike riding on the old carriage trails, and to hang out in Bar Harbor. While we love doing things together, we also know how important it is to work on our individual happiness, so we have certain things we do without each other. Amy plays the piano, chats with friends, and watches motivational videos. Matt goes to the gym, spends time with friends, and listens to podcasts. Through spending time together and through exploring our own passions, as individuals, and as a couple, we both feel secure and happy in our lives, so we know we can raise our child to feel this way as well. We are blessed with vibrant, connected, and loving families. Our child would be raised amidst a caring and fun-loving group who love to gather for holidays, birthdays, and sports games. He or she will grow up in the embrace of a wonderful and well-rounded group of loving aunts, uncles, and grandparents, who are everything from educators, artists, and business owners, to entertainers, and tradespeople. They are all diverse in their personalities, philosophies, interests, and ethnicities, but are united in their love of each other. They are also united in their delight that we will become parents through adoption. They’ve been waiting for us to be parents for almost as long as we have and can’t wait to include our child in all the family events. Our child will have five first cousins, boys and girls from age 8 to age 25, and he or she will likely be followed by other cousins. We also each have large extended families, most of which live very close by, including Matt and Amy’s cousins, aunts, and uncles, who we spend time with at holiday celebrations, summer parties, and other fun occasions. Matt’s closest family includes his mom, dad, step-mom, and three younger sisters, along with their husbands and children. Amy’s family includes her mom and one older brother, along with his girlfriend and children. Amy’s father passed away in 2009, but his spirit, values, and memory remain an important part of our family and family lore. We are all close, and most of us live within a half-hour of each other. 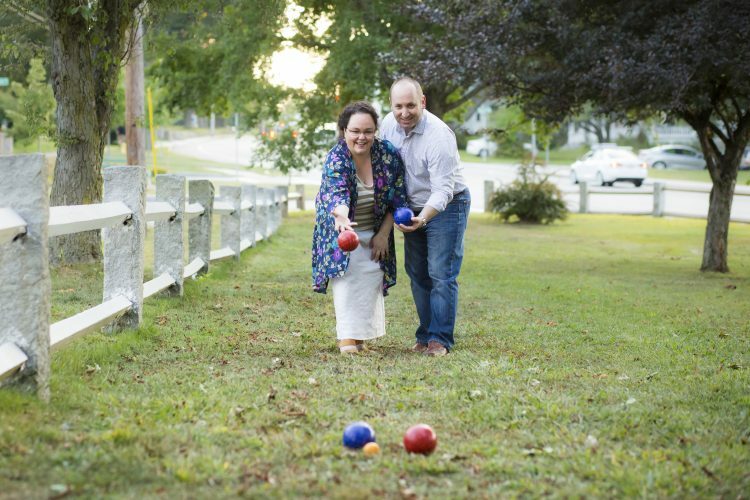 We do a lot with our families, including apple picking, watching Patriots games, playing cards, playing bocce, taking walks, celebrating birthdays or other big family events, and cooking big family dinners – all things our family is very excited to get to do with our little one when the time comes. We live in a charming and safe neighborhood, in a vibrant and diverse city north of Boston. Our very walkable neighborhood is full of young families and kids…so full and friendly that we get over 400 trick-or-treaters on Halloween. We are within walking distance of three schools, two public and one private, and a handful of parks and playgrounds, one of which has Thursday night music concerts during the warmer months. To our excitement, we also live right around the corner from a site of an old elementary school that is being developed into a community arts school. We plan to send our child to schools known for providing excellent education and giving kids a solid foundation for their future, but also which encourage individuality. We value schools with supportive learning environments, inspiring school leadership, and high levels of community involvement. We are an easy drive away from state parks, hiking trails, lakes, the ocean, and lots of farms, historical sites, and cultural events in our city and nearby coastal towns. As for our home itself, we enjoy spending time there in our garden and doing home improvement projects. We also love cooking breakfasts on weekend mornings, grilling up feasts outside in the summer, and just cuddling up on the couch to watch a good movie – all things we can’t wait to do with our child one day soon. I am not sure if I can put into words how Amy has helped me become the person I am today, but I will try. Amy is the most caring person I know and she has a unique and natural way of making people feel at ease. She is a very good listener and is extremely intelligent. I love that Amy is always trying new things and I am so proud of her thriving photography business. Amy has a positive outlook on life, loves her friends and family, and brings passion into all she does. These three aspects about her have affected me profoundly and will make her an amazing mother. With Amy, anything is possible, and she reminds me that it is good to dream. I have total confidence that she will be an incredible mother, the kind of mother who will stop time to play with and listen to her children, who will do fun and meaningful things with her children, and who will do whatever she can to raise a healthy and happy child. I know all of this because of how she is with me, along with how she interacts with our nieces, nephews, and all of the children with whom she has worked. Amy’s love of people and passion for inspiring kids really shine when she teaches music and directs local shows. I watched her once rehearsing with a group of kids and adults for a performance of Schoolhouse Rock. I remember the kids’ faces lighting up when she was talking to them and encouraging them to sing solos. I remember feeling the energy in a room rising to meet Amy’s infectious enthusiasm about whatever the group was practicing – and I remember Amy whooping and clapping and dancing when the group made progress. She loves life and creating beautiful, transformative experiences for people. I know she will pass this love and enthusiasm on to our child and that she will encourage him or her to thrive in all that they do. Amy’s compassion and humor can be seen in the way she interacts with kids and adults at family gatherings. She engages with everyone, somehow getting even the shyer family members to participate in conversation. She can get a whole group talking with each other by asking about the high and low points of everybody’s day, or by playing “Pancakes or Waffles,” a game where she gets people thinking and talking about themselves and each other, and the questions evolve into ideas about life and about what makes people truly happy. I have seen Amy calm many a child or adult in a bad mood in seconds with this game – and I can picture her helping our own child relax after a bad day with this game. Matt is many great things; he is smart, athletic, funny, hardworking, and responsible. But I think my favorite thing about him is that he is one of the warmest and most kind-hearted people I have ever met. I saw this early on in our relationship through the way he would graciously and patiently spend time talking and listening to people. He is also steadfast in his love and commitment – for me, but also for his family and friends. When one of his friends needs help moving or one of our mothers needs support with a home project, Matt is the first to lend a helping hand. When I have a challenging day or am worried about something, Matt is there with a hug, some tea, and tissues, when they’re necessary. He is simply an amazing caretaker, and I know this translates precisely to the type of doting father he will be to our child. 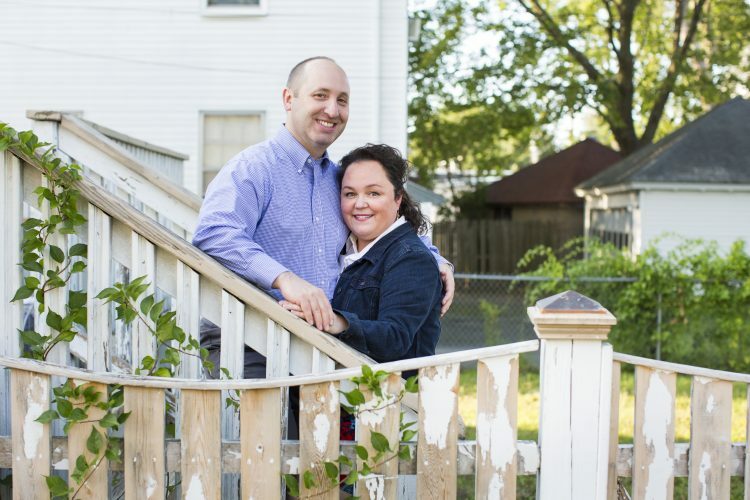 Matt’s personality can be gregarious, but his brand of support is quiet, constant, and steady. Not long ago, on a day I was working and unable to help my mother with some errands and tasks, Matt took it upon himself to call my mom and offer support. He went grocery shopping, gathered her trash and brought it to the curb, fed her cat, cooked her one of her favorite dinners, washed the dishes, watched the Patriots-Giants game with her (they are both huge fans), and spent the whole day with her. My mom said he would finish a task and return with “And what else, Ma?” After that day, she told me she couldn’t remember the last time she had so much fun watching the Patriots with someone. I see this kindness all the time in Matt’s interaction with my family and his – and it makes me unbelievably happy to know he will one day be able to show this kindness in his interactions with our future son or daughter. I fall even more in love with Matt each time I see him interacting with our nieces and nephews. He’s the type of uncle who goes to dance recitals, sports games, and karate tests. He’s the uncle who buys a hundred hot chocolate packets, rents a fancy urn, and finds the exact right crayon to make a hot cocoa-for-sale signs, just so that our nieces can have a hot cocoa stand. He’s the uncle who carries them on his shoulders, wrestles with them on the floor, plays catch with them, and pushes them on the swings. One time he made the cutest basket-on-a-rope contraption, with a funny note and a sharpie marker attached to it, so my nephew (who was 10 years old at the time) could lower a baseball into the dugout in hopes of getting it signed by an up-and-coming minor league player at Pawtucket. He even stood over the dugout with my nephew, patiently waiting for players to come into the dugout, fishing for signatures, all the while entertaining my nephew with stories about the players and about baseball. To be honest, I can’t remember whether any players signed the ball, but it’s a memory my nephew still talks about today. These are the types of memories I know he’ll constantly be making with our child one day. I can’t wait to see Matt become a dad, and I can’t imagine a man who is more excited to play with his child, to do homework with them, to teach them things, to love them wholly for who they are, and to stand by them and support them on their journey. We look forward to all that is involved in loving and raising a child: nurturing, protecting, supporting, listening, encouraging, and witnessing his or her joys and explorations. We dream of providing a strong and loving foundation for a child: a home base that fosters a sense of stability, security, significance, and belonging. We are honored and humbled that this strong sense of foundation and belonging will include you, your family, and your life story. We want our child to grow up knowing he or she is an important part of a miraculous extended family, and that he or she is loved by you and by us. We want for them to know you, and to know how much you care. We embrace open adoption and believe that openness and ongoing connection with the birth family are so important for the development and emotional security of an adopted child. In addition to helping a child feel strongly rooted and connected, we think an equally important aspect of parenting is helping kids feel supported in exploring their interests and dreams. We will help our child spread their “wings” and support them as they try new things, build confidence, expand their horizons and abilities, and learn how to be authentically themselves in the world. A big part of this includes giving our child access to excellent education and enriching experiences. The schools in our area are outstanding and we’ve already started an education savings account that we will continue to contribute to so that our child has financial support for whatever type of education he or she chooses when they are older. We will also introduce our child to activities that help him or her discover his or her interests and talents. We look forward to seeing what they love, whether it is dancing, soccer, debate team, cooking, or a combination of them all. Finally, as important as enriching classes and activities can be, we also believe that free, unscheduled play time is every bit as enriching and healthy for children and will give our child ample amounts of time to play, explore, create, and reflect. We thank you for taking the time to learn about us and consider us as adoptive parents for your child. We know that your child’s happiness and wellbeing are your greatest concerns, and we would be very happy to meet with you, answer any of your questions, and talk about your hopes for your child. We greatly respect and appreciate whatever decisions you make and want you to know that if you select us to be your child’s adoptive parents we will love and cherish your child unconditionally. If you would like to learn more about us or speak to us further, please call Full Circle Adoptions at 1-800-452-3678.